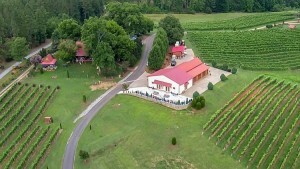 Overmountain Vineyards is a boutique winery that sits on a 70-acre family owned farm in Tryon, North Carolina. OMV grows 16 acres of French vinifera focusing primarily on Petit Manseng, an elegant aromatic white originally from southwest France as well as red varietals Cabernet Sauvignon, Cabernet Franc, Merlot and Petit Verdot. 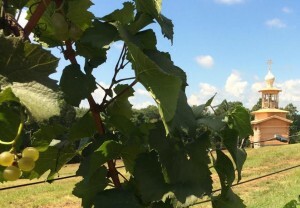 Two acres of organically grown blueberries are also under cultivation for future winemaking. We use primarily estate grown fruit. Frank Lilly, the Winemaker, and his daughter Sofia, Assistant Winemaker, focus on developing artisanal wines which are hand-crafted and distinctive. At Overmountain Vineyards, innovation is at the core of everything we do. We create old world style wines with the latest in modern innovative techniques both in the vineyards as well as in the winery. Our tasting room is open year round. During our high-season (from bud-break in the Spring through harvest in the Fall) we feature an Event Series with live concert performances, local food and always a great time! During the cooler months, our communal firepit is a popular place for gathering. The front porch offers stellar views of the Foothills and we have many areas from secluded, intimate settings to places for larger groups and gatherings available. If you are feeling adventurous, we even have a certified segment of the Overmountain Victory National Historic Trail on-site. Please come visit, taste the difference and enjoy a truly distinctive wine experience at OvermountainVineyards. From our family to yours! Parker-Binns Vineyard and Winery is located in Mill Spring, just outside Tryon, nestled in the Foothills of the Blue Ridge Mountains. We are a family affair, passionate about the lifestyle, and focusing on traditional European grapes, growing Chardonnay, Merlot, Cabernet Sauvignon, Cabernet Franc, Muscat, Petit Manseng, and an American hybrid Chambourcin. 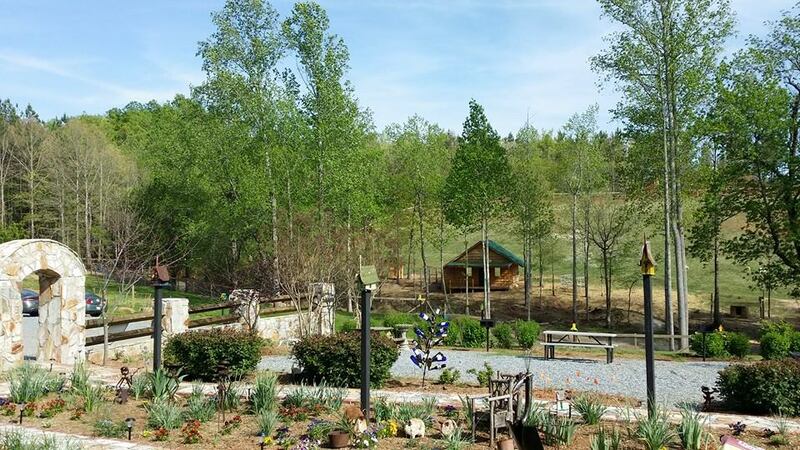 Please come visit and enjoy the spectacular views on the 40-acre property, laced with beautiful flower gardens in a rural setting, complete with picnic areas and a covered patio. Let Lulu, our rescue dog, and official greeter, introduce you to a fun-filled friendly atmosphere, where you can enjoy estate wines and make your own memories. Visit us online at parker-binnsvineyard.com. At Mountain Brook Vineyards, crafting wine is a labor of love. Vineyard owner and winemaker Dennis Lanahan takes great care in nurturing the 7.5-acre vineyard, nestled in the isothermal belt foothills of the Blue Ridge Mountains. “We planted our first rootstocks in Tryon, North Carolina in Polk County in 2002. For many years, we operated as a successful grape growing business. Our dream has always been to create wines of perfect balance and taste. This summer, we will introduce our first vintage of Chardonnay. In 2014, we will launch our first vintages of Pinot Grigio, Petit Verdot, and a Bordeaux blend. “All of our wines are made of 100% NC grapes, harvested by hand, and fermented separately in oak barrels and unoaked stainless steel tanks. We keep our vintages small to ensure the highest quality. Visit us online at mountainbrookvineyards.com. No product has a closer relationship to its raw material than wine does it to its vineyard, and at Russian Chapel Hills Winery, we are developing a heritage of fine viticulture. Our vineyard rests below the beautiful St. Anna Chapel, which is a part of the Eastern Diocese of the Russian Church Outside of Russia. Visitors to Russian Chapel Hills Winery will perhaps be most delighted at being able to visit an authentic, 17th-century stile Russian chapel. The chapel is not just a tourist draw attraction to us. It is our heritage that such steps are taken, continuing in the footsteps of our ancestors who have built the beautiful churches around the world for hundreds of years. We hope God will bless a world-class wine-making operation here, in the shadow of the Great Smoky Mountains, just south of Lake Lure. As proprietors of an estate vineyard, we use only our own grapes. This allows us to control the quality from the vine’s bud break to the sorting table. Only the highest quality fruits are chosen for the production of Russian Chapel Hills Winery wines. From seven estate-grown varietals, Russian Chapel Hills Winery produces dry European style wines such as Cabernet Sauvignon, Merlot, Cabernet Franc and whites Chardonnay and Sauvignon Blanc. As well as our favorite dessert wine Muscadine. Also, the Russian Chapel Hills winery is carrying Karma wines from Rioja, Spain. We are the exclusive importer of our partner’s Bodegas Antonio Alcaraz wine, who produce the classical Rioja “Tempranillo” as well as exceptional “Viura”. You cannot buy it anywhere else in America except at Russian Chapel Hills Winery. You are welcome to discover a new experience in our estate winery. Visit us online at russianchapelhill.com.